OVERLAND PARK, KS--(Marketwired - June 25, 2015) - It seems all too often we hear stories about health care employees filing false Medicare claims. While programs such as the Securities and Exchange Commission's Whistleblowers exist to help identify fraud, coming forward can be intimidating. That's why it's crucial for health care organizations to take preventative measures to help limit fraud internally. This past May, a Salt Lake medical equipment company agreed to pay $7.5 million to settle allegations that it submitted false claims to Medicare. 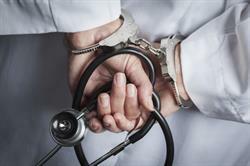 Sales representatives for Orbit Medical Inc. altered doctor prescriptions and other supporting documents to bill Medicare and other federal health programs for power wheelchairs. According to U.S. Attorney for Utah, Carlie Christensen, "Taxpayers' dollars paid for power wheelchairs not legitimately prescribed by a physician." The sales reps were also accused of forging doctors' signatures to make it look like patients qualified for wheelchairs when they did not. The false claims came to light after two former Orbit employees filed a lawsuit as whistleblowers. Under the federal False Claims Act, "a private party can sue for false claims on behalf of the government and share in any recovery." Anonymously report incidents of all kinds. By giving your staff their own internal whistleblower application or tool you are encouraging them to report anything they feel to be unethical without the fear of retaliation. Immediately investigate any fraud related incident. Be sure to capture as much information as possible every step of the way to ensure nothing slips through the cracks. Have a designated fraud response workflow. Depending on your organization you may have individuals or a whole team of people dedicated to carrying out an internal fraud investigation. Ensure your staff understands policies. Conduct regular assessments to gauge and track their understanding. It is also helpful to keep all policies and procedures in a central repository that all employees can easily access. Promote open communication and accountability across the entire enterprise. Staff members will be more likely to report unethical or fraudulent incidents in a more collaborative environment. Even with the potential for monetary rewards from the SEC, making the decision to bring information forward may be too overwhelming for most. Fortunately, there are steps organizations can take internally to promote accountability and prevent fraud.